The Globe-Miami Chamber of Commerce will host its 35th annual Historic Home & Building Tour April 6-7. 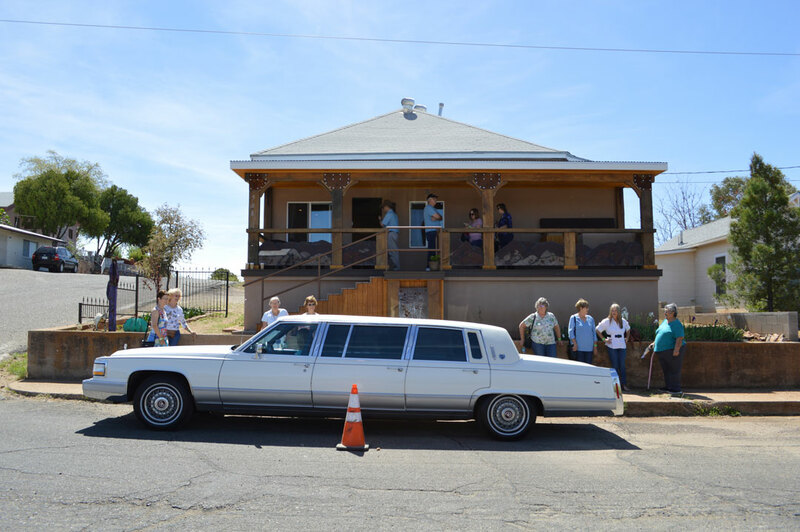 Tours will embark from the Historic Train Depot in downtown Globe between 9 a.m. and 3 p.m. Tickets are $20 a person and will include several historic buildings and homes dating from Arizona’s territorial days. Visitors will be chauffeured to the various stops, so there’s no trying to figure out the intricacies of how early day mining towns followed the hills. Volunteers at each stop will talk about the history and personalities associated with each building. In the evening, the Globe Downtown Association will once again offer an historic Cemetery Tour, complete with costumed actors who will talk about some of the persons buried there. This is an historic tour, not a ghost tour. There is a separate charge for this tour, although combo tickets for both the home and cemetery tours will be available at a reduced price of $25 until April 1. After that, the price will be $30. The Pieces of Friendship quilt show will be exhibited at the Cobre Valley Center for the Arts during the Home Tour weekend. For more information, contact Ellen Kretsch, Globe-Miami Chamber of Commerce, at 928-425-4495. Visitors will be chauffeured to the various stops, so there’s no trying to figure out the intricacies of how early day mining towns followed the hills.